Fashion Fights Cancer is a fundraising event held in the honor of Dr. David DePasquale, at the DePasquale Salon and Spa of Morris Plains, New Jersey. 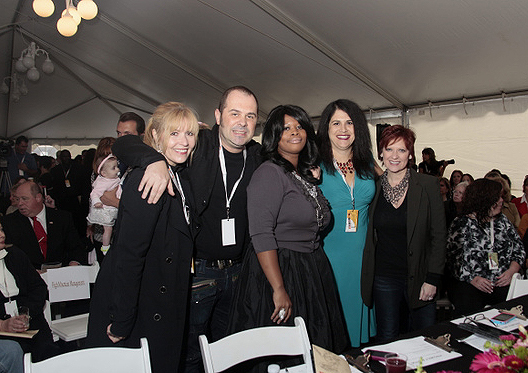 Cristiano Cora was honored to be one of judges, along with Maggie Mulhern, beauty editor from Modern Salon; Kishana Holland of Tres Chic Style.com; Nancy Litchenstein of LA story.com and Carolyn Manzo of the Real Housewives of New Jersey. The five teams of DePasquale Salon and Spa presented a fashion show offering the latest in fashion and beauty of the Fall/Winter of 2010. More than $50,000 was raised for Saint Claire’s Hospital in New Jersey, which will benefit Cancer Care in memory of Dr. David DePasquale.